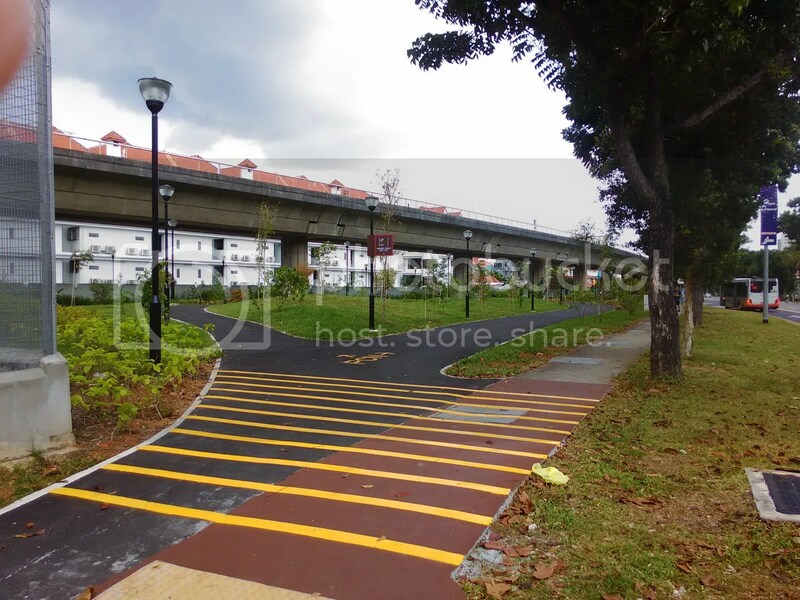 The Sims Avenue Park Connector is the latest park connector to be added to the growing park connector network in Singapore. 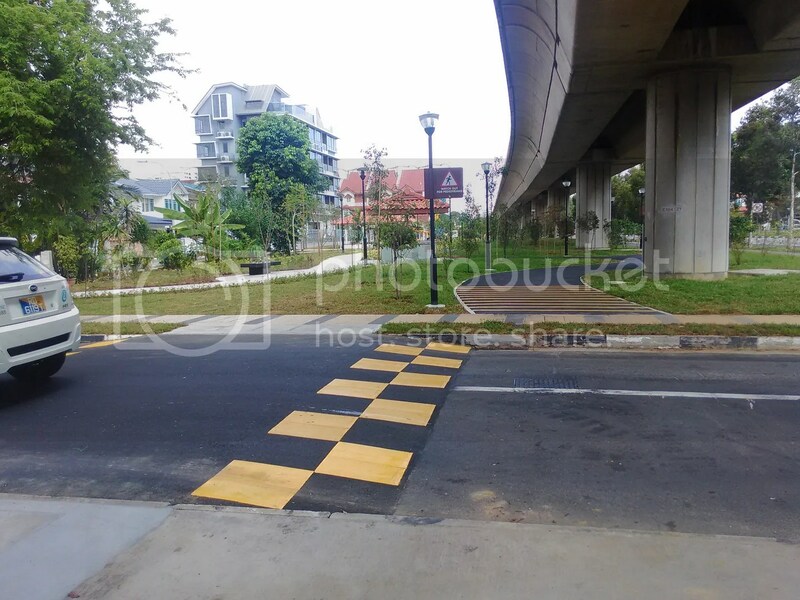 It is situated in the east and runs all the way from Paya Lebar MRT to Kembangan MRT where it links up with the Siglap Park Connector. 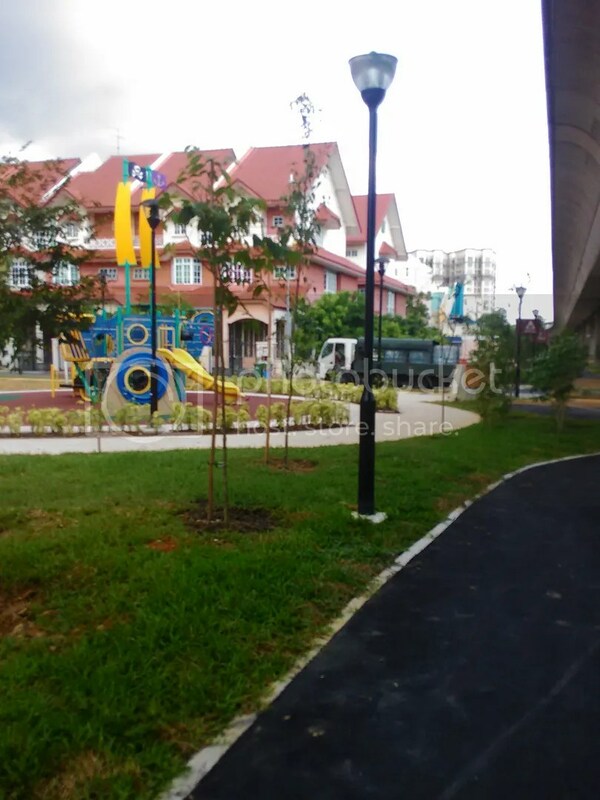 Unlike the older Siglap Park connector, this refined park connector features many amenities and safety features aimed at enhancing park user safety. 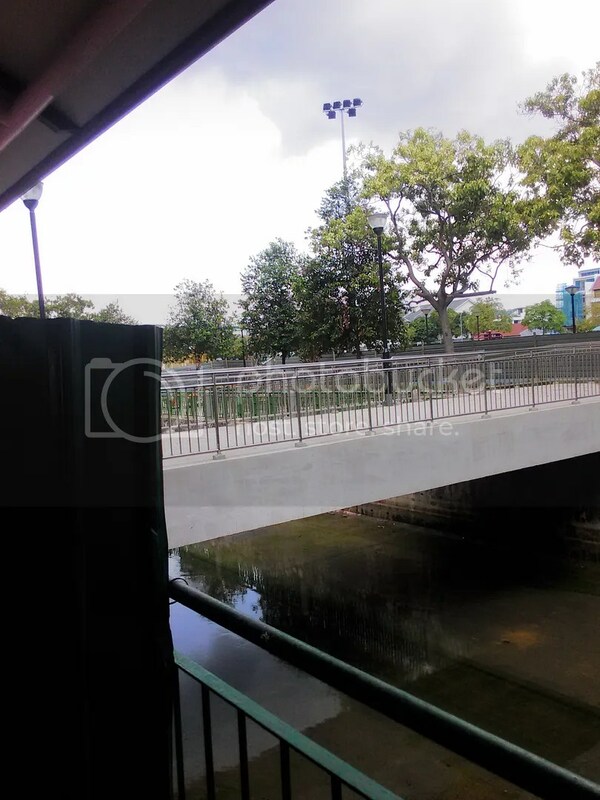 NParks has build this Park connector mostly under the EW MRT Tracks, which I think is a rather clever use of maximizing usage of space in land scarce Singapore, It also serve a dual purpose of providing shelter when there is rain. The other thing that I really like is the usage of curve paths to reduce speed of cyclists. These paths are not for your 45 kph road bike warriors, but rather people choose a more leisurely pace. At grade crossing at road junctions make it rather hassle-free and painless to move around. Though I think safety can be further improved with the addition of mirrors and zebra crossing lights at junctions. With cyclists travelling relatively fast as opposed to pedestrians walking or running, drivers might not be able to stop safely in time as they might not notice the cyclists till they are too late. Other amenities on offer include seating for resting points and the designers have even managed to squeeze in a playground. There are also multiple static exercise station located along the pathways. The Park connector is unfinished as the link to the Siglap park connector is still not yet completed. 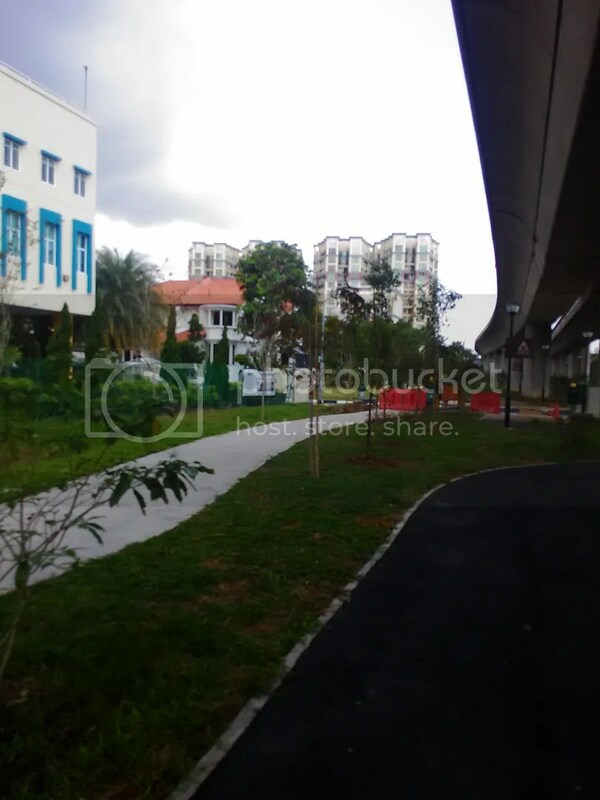 The park connector will probably be connected to the nearby Geylang Park connector but as at the time of writing, there is no groundwork being done yet. Disclaimer: The author has noticed its construction for quite awhile as he stays nearby,.Upon finding out that the park connector is close to completion, he decided to try it out. This post is not sponsored by Nparks, nor have I been contacted to write an article about it. 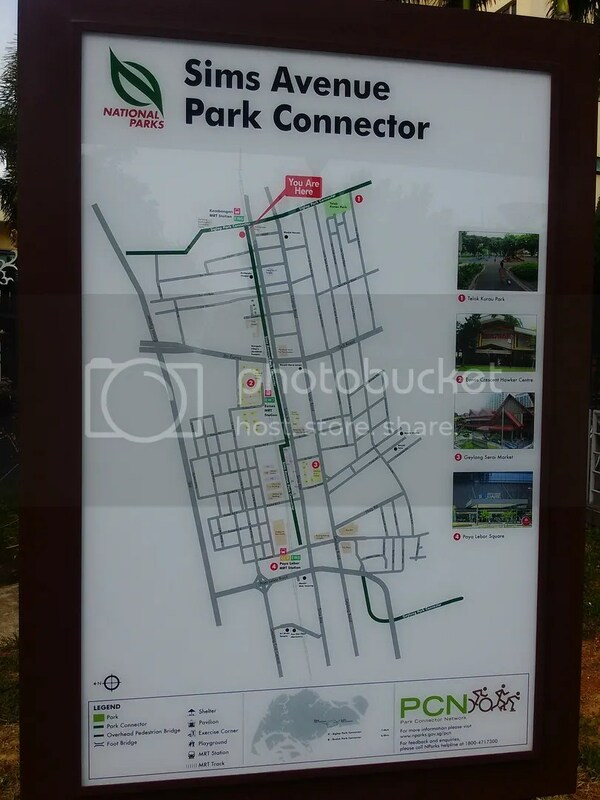 This entry was posted in Park Connectors and tagged Npark, Park Connector, Sims Avenue Park Connecot. Bookmark the permalink.